It’s easy to see that mobile technology has vastly changed the way we all connect over the last few decades. Today, we can connect with nearly anyone across the globe in just a few moments, and we have easy access to more information than we could read in a whole lifetime. As our world becomes more and more interconnected through mobile devices, many people have questioned the effects of this interconnectedness on our mental and physical health as well as the health of our relationships. On one side, people praise mobile technology for making everyday tasks much simpler and faster, and making it easier to stay connected to loved ones. On the other side, many people wonder if the pervasiveness of mobile tech is making us more anxious and disconnected than ever. This debate is multifaceted and complicated, so to help you sort through your own relationship with mobile devices, we’ve rounded up a selection of books offering different perspectives on mobile devices, how we use them, and how they’re affecting us. At a time when we’re all trying to make sense of our relentlessly connected lives, this book presents a bold new approach to the digital age. Part intellectual journey, part memoir, Hamlet’s BlackBerry sets out to solve what William Powers calls the conundrum of connectedness. Our computers and mobile devices do wonderful things for us. But they also impose an enormous burden, making it harder for us to focus, do our best work, build strong relationships, and find the depth and fulfillment we crave. Hamlet’s BlackBerry argues that we need a new way of thinking, an everyday philosophy for life with screens. To find it, Powers reaches into the past, uncovering a rich trove of ideas that have helped people manage and enjoy their connected lives for thousands of years. New technologies have always brought the mix of excitement and stress that we feel today. Drawing on some of history’s most brilliant thinkers, from Plato to Shakespeare to Thoreau, he shows that digital connectedness serves us best when it’s balanced by its opposite, disconnectedness. What’s springtime without a new release from Apple? The company recently announced the updates that have been made to its base-level iPad and they’re not bad – they just might not wow you. We’ll lay out the facts, and you can decide whether or not its worth a purchase. Want all the latest info in the tech realm? With so much technology news out there, it is easy to fall into an internet black hole of headlines, so we are here to help! Here’s a roundup of the latest interesting techy articles floating around the internet. It’s time to have a real heart to heart about health…specifically cardiovascular health. Heart disease is the number one cause of death in the United States, and February is a great time to start some serious conversation about that since it’s National Heart Month. Today, we’d like to center the discussion around some of the technology that’s out there to help combat that statistic. In this digital age we live in it is nearly impossible to raise a child without exposing them to technology at a very early age. Even before they are born they’ve come in contact with more sophisticated devices than most of us did in our first decade of existence (those 3-D and 4-D ultrasounds are wild, #amiright #justme). Knowing the rate of your child’s development and what technology to use to foster their growing mind can be a daunting challenge. I’ve attempted to wade through the amalgam of information out there about technology and children and siphoned out a few things that seemed important. Much like television, the AAP (American Academy of Pediatrics) believes technology use should be limited for young developing minds. I personally believe in a “everything in moderation” approach. That said, it’s also important to realize that as a parent, it’s solely up to you and what you believe is best for your child. As no child is the same, nor is any parent, you shouldn’t feel pressured to let a magazine or journal tell you how to raise your child – instead, feel free to look to these mediums for inspiration and light guidance. Hello, dear readers! As the year draws to a close and we take stock of the year past, we’ve decided to take a look back on some of our most popular posts from 2017. We posted 91 blog posts this year, and had more than 3000 visitors, but some of our posts really rose to the top: here are our most-viewed blog posts of 2017! Learn 3 quick tips to get more out of your iPhone! Spending time with furry friends can definitely improve your mood and make you feel cozy inside, but there are actually a myriad of health benefits to owning a pet. Check out this article to read about all the ways Rover helps your health! Tech Talk Thursday: Say Hello to the New iPhone(s)! By now you’ve probably heard about the new phones Apple has announced this year, the Apple iPhone 8, the iPhone 8 Plus, and the Apple iPhone X. The iPhone 8 and 8 Plus have just been released, while the iPhone X is available for pre-order. If you’re in the market for a new phone, you may be wondering about the differences between the devices and if it’s better to buy one over the other. Today, we’ll break down the options with an overview of some key similarities and differences in Apple’s latest iOS mobile devices. How’s your PC running? Have you taken any of our PC hygiene tips from the past two months into account? We’ve previously discussed both basic hardware and software maintenance, and this month we’re wrapping up our series with some overall best practices. We continue our discussion on good PC hygiene this month with some easy tips for software maintenance! If you missed our Part 1 of this 3-part series, be sure to check out our Tech Talk Thursday post from last month where we covered basic hardware maintenance. Summer is in full swing and that often means planning and taking a vacation. 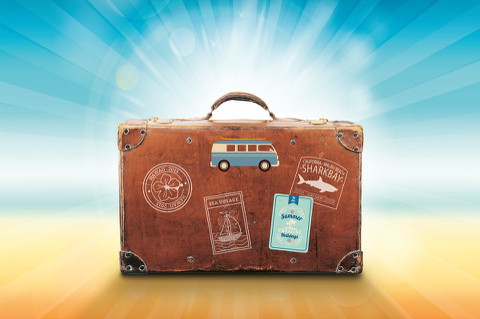 Next Monday, July 24 the library will be hosting its annual Summer HSL Info Expo and the session will be all about travel, including our popular “Apps & Gadgets” segment. Today we’re bringing you 5 fun and helpful apps to help you have the best summer trip/weekend getaway/international adventure ever!